Mallow businessman Tom Barry is a Fine Gael candidate in Cork East. Barry is a relative newcomer on the political scene. 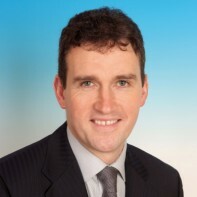 He was elected as a member of Cork County Council in June 2009 by the Mallow electoral area. If elected, Barry has pledged to use his business acumen to encourage job creation in the Mallow region. Barry is the founder of TB Warehousing, a local business which specialises in grain production and storage.